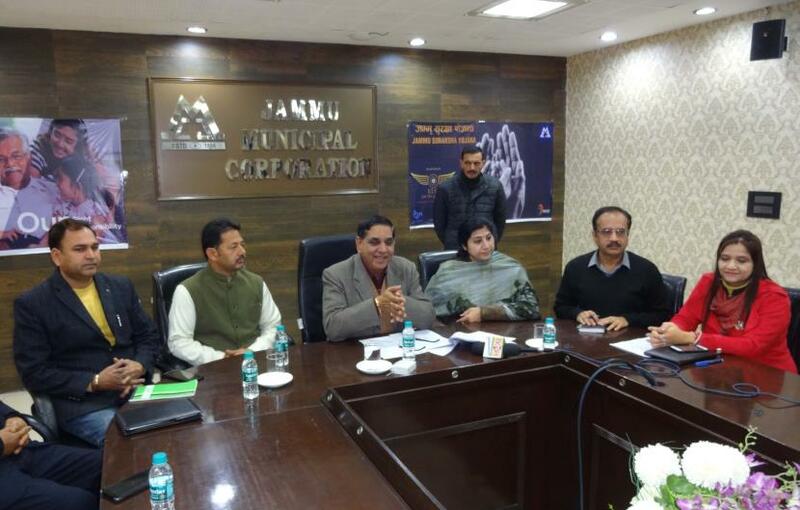 JAMMU: Jammu Municipal Corporation (JMC) Mayor, Chander Mohan Gupta Wednesday declared Chairpersons of the Standing Committees of Swacch Bharat Committee, Public Health Sanitation Committee and Social Justice Committee of JMC. Deputy Mayor, Purnima Sharma, JMC Commissioner, Pankaj Magotra and JMC Secretary, Sunaina Sharma were also present on the occasion. A handout stated that apart from these, the General Functions Committee and Finance Planning Committee are being headed by the Mayor while Housing for All Committee and Skill Upgradation & Self Employment Committee is headed by Deputy Mayor. For Swacch Bharat Committee, Suraj Parkash, Corporator Ward No. 67, for Public Health Sanitation Committee, Baldev Singh, Corporator Ward No. 56 and for Social Justice Committee, Jeet Kumar, Corporator Ward No. 12 were elected as Chairpersons unopposed. The Mayor complemented the Chairpersons of Standing Committees and expressed hope that these Committees will now make the mechanism of JMC more efficient.